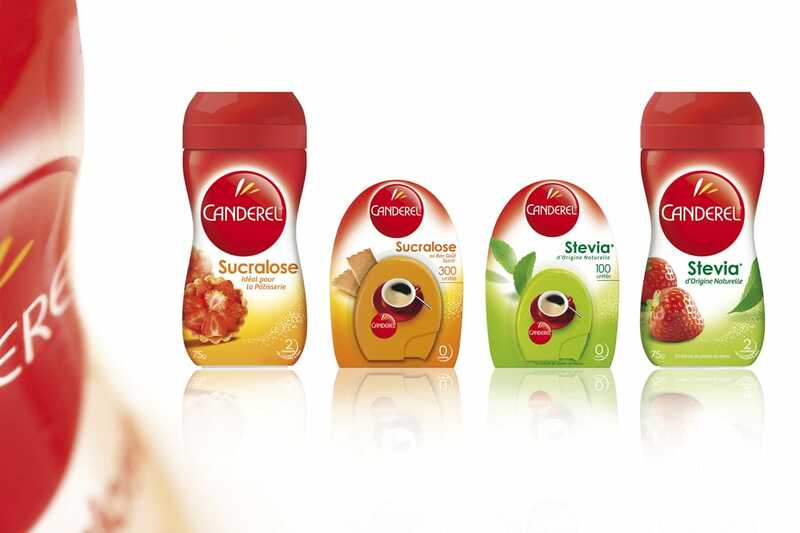 At the end of an international competition, Canderel® (Merisant) choose Logic Design, a french design agency, to reaffirm its brand vision and therefor hold its position as leader in the sweeteners market. Logic Design, consulting agency specialized in brand strategy, contributed to the reflection on the brand positioning of Canderel®. Through a global audit, the agency clarified the brand message « providing everybody with sweet, without feeling guilty ». Logic Design enhanced the brand content with a highlighted pleasure dimension, thanks to a creative and open wording. This brand message has been developed in Press and TV campaigns launched in March 2014. In order to embody this new brand positioning, the agency designed a specific brand identity. By accentuating the fundamentals of the brand and by expurgating the initial logotype, Logic Design provided the brand vision with more impact and modernity. In this context, a new design pack has also been developed. The new packaging architecture, with a central logotype, replaces Canderel® in a speaking position. This graphic stylistic choice facilitates the endorsement of its offers. This project covers an international scale as Canderel’s new branding is deployed on 13 references in France, United Kingdom, Benelux, and later, other countries. Promotional packaging: long-term brand strategy or passing trend?